I donned the cap and badge and made my own Big Mac! I’ve recently discovered, however, that at McDonalds, waiting longer for a customised order is a thing of the past. That’s right. I can be as fussy as I want and still get my grub within the same time. And it’s all thanks to their new made to order system. No longer do McDonald’s leave pre-made burgers under a heater waiting for someone to order them. In fact, they don’t put anything together until it’s been ordered. This effective new way of serving your order means your food arrives fresher, hotter and personalised just the way you like it. Perfect for a fusspot like me. 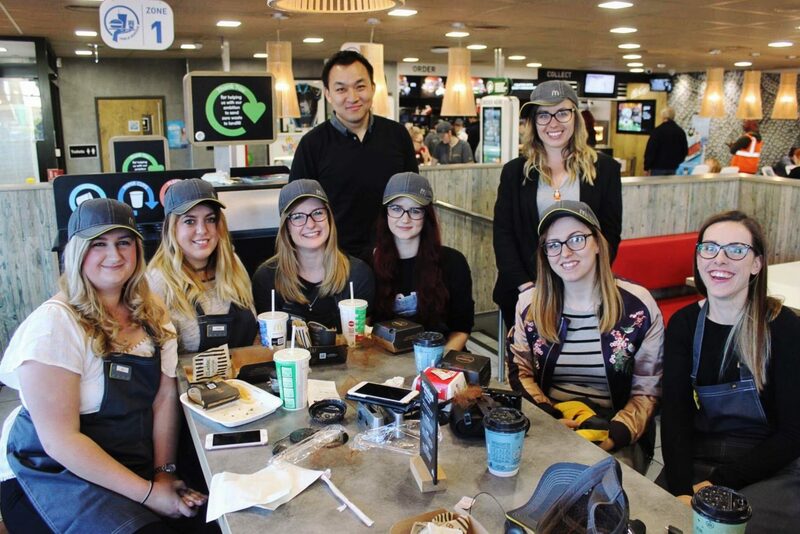 I had the opportunity to take a look at the workings behind this new system when my local McDonald’s in Hull invited me and some fellow Hull Bloggers to check out how their stores have evolved, not just in the public spaces (iPads, interactive games and charging ports – perfect for bloggers and families, right?! ), but behind the scenes too. Their kitchens have been redesigned to ensure the food process is a lot more effective and streamlined from taking the order, to getting the grub cooked, to boxing it up and sticking it on a fancy ol’ conveyer belt which shoots it out to the cashiers ready for serving. 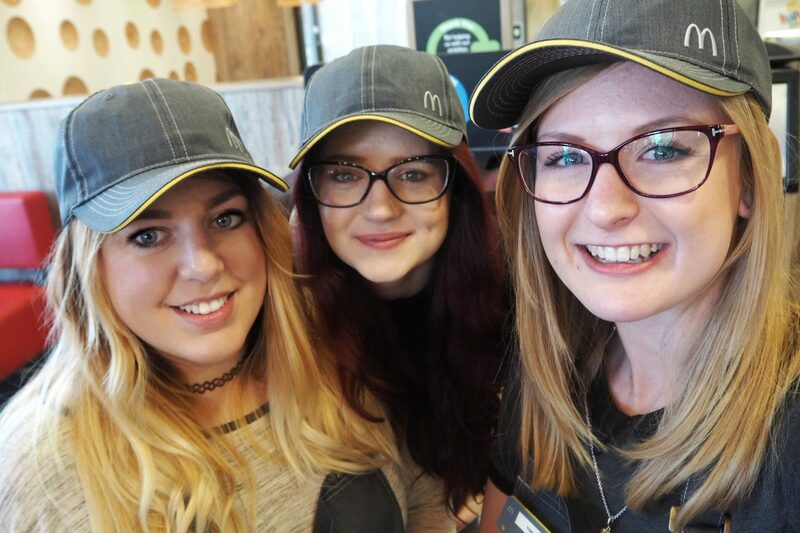 After our sneak peeks of the kitchen, the Maccies team let us loose to have a go at making our very own Big Mac. And yes, we each had our very own apron, cap and name badge waiting for us! 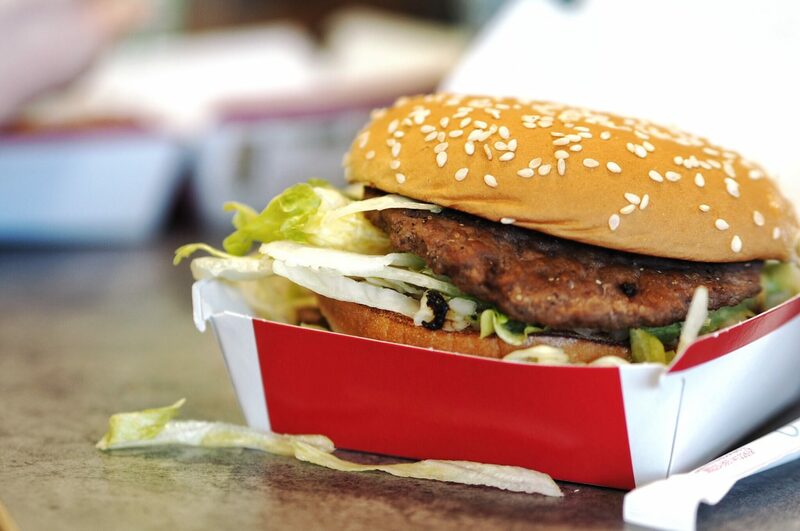 My lovely* blogger friends so kindly† volunteered me to go first (*wimpy, †ruthlessly), and despite trying my best to set a good example, my poor Big Mac ended up pretty sad and droopy. But no less tasty of course. 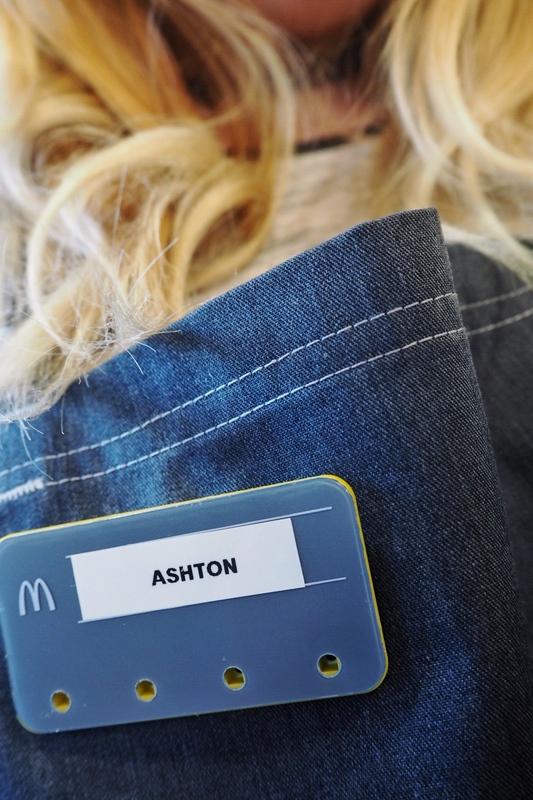 As if we hadn’t had enough fun already (because let’s face it, McDonald’s is always fun! ), we were then each given a burger of our choosing to try from the new luxury Signature menu. But first we had to order it with the help of technology…. 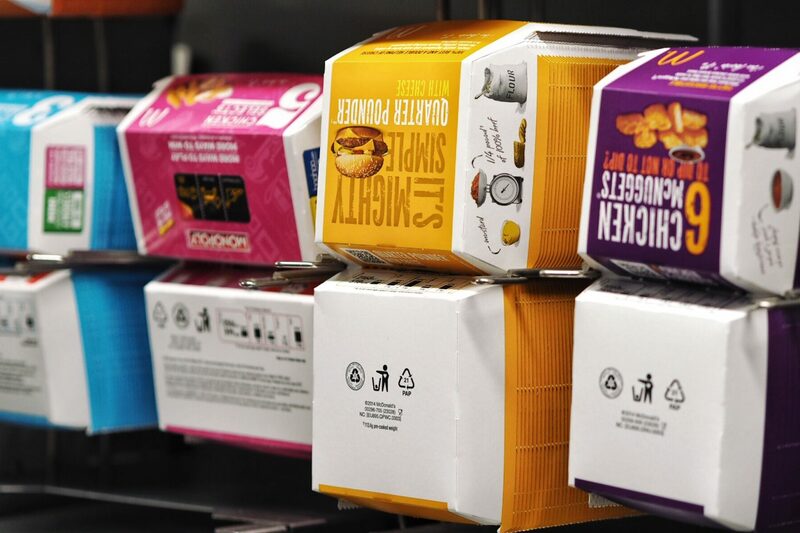 You’ve probably come across the fancy order kiosks popping up in McDonald’s near you, right? They make placing an order incredibly stress free, and they even have the option to minimise and lower the screen for children and wheelchair users to operate it with ease. The best bit? You can customise your order each and every step of the way, right down to asking for no ice in the drink. (Yes, I’m one of those people!) Another thumbs up for the fussy eater crowd. 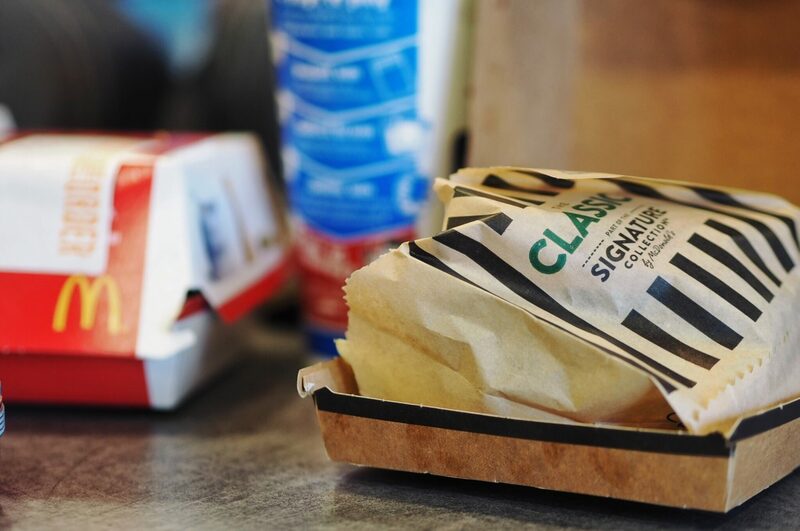 No longer do you have to be embarrassed as you reel off a list of things you don’t want in your burger to the cashier. Despite the choice to have a BBQ or Spicy version of the burger, fussy ol’ me opted for the Classic, though without the ketchup, mayo or onions, of course. And let me tell you: It. Was. Beaut. 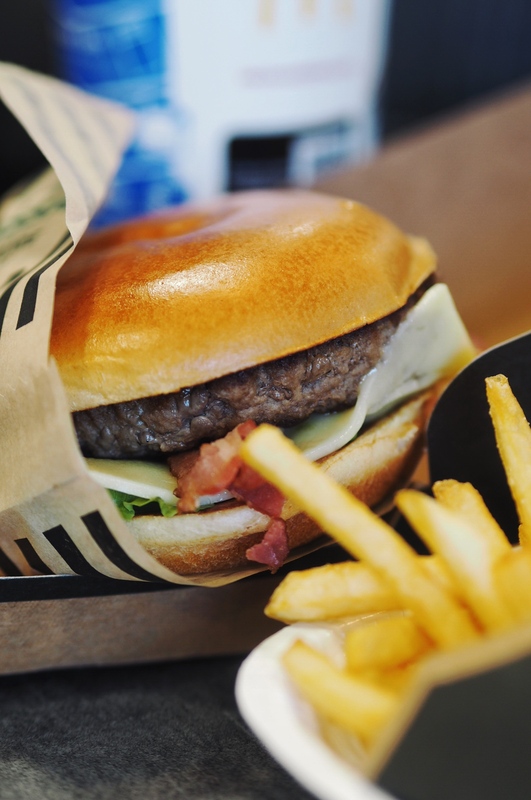 100% British and Irish beef, smoked bacon, cheddar cheese and fresh salad, all in a Brioche style bun. Nom. We ended our night at McDonald’s with a chat and Q&A with the staff and franchise owner, finding out everything we wanted to know about the process, the history and upcoming plans for the store. There’s a 99.99% chance I asked if we’d done well enough to earn our first star for our badge, and a 100% chance that the answer was no, but we’d all be asked back for a second shift had it been a trial. I can live with that! 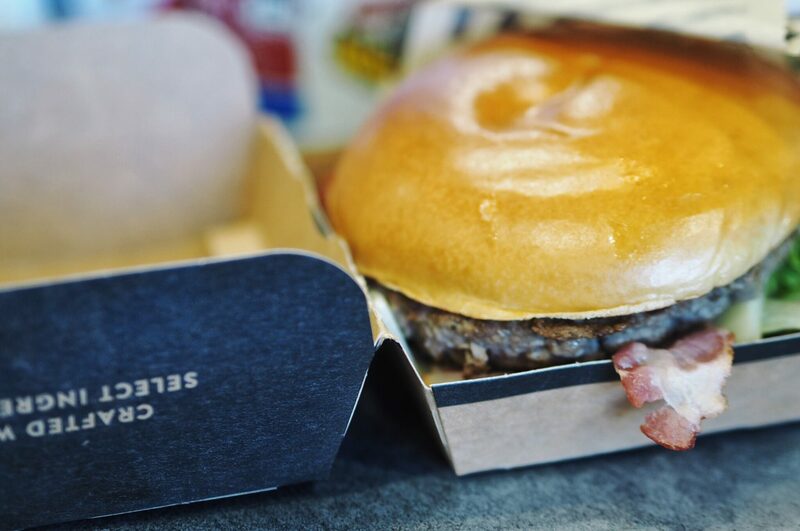 And did you know that you can even get table service at McDonald’s now? Simply place your order, give them your seating zone number, and then sit back and wait for the tray to come your way. I left McDonald’s that evening impressed by their new system, full up of yummy grub from their menu and with a fully charged phone thanks to their charging ports. 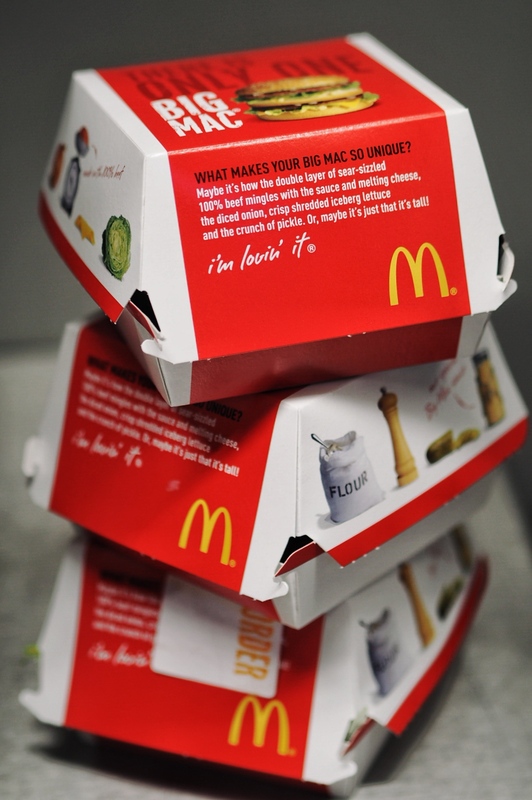 And there was something so fun about the way their Big Mac sauce is fired out of a big metal gun and something so satisfying about the way their food boxes are lined up so nice and neat. But maybe I’m just easily pleased. 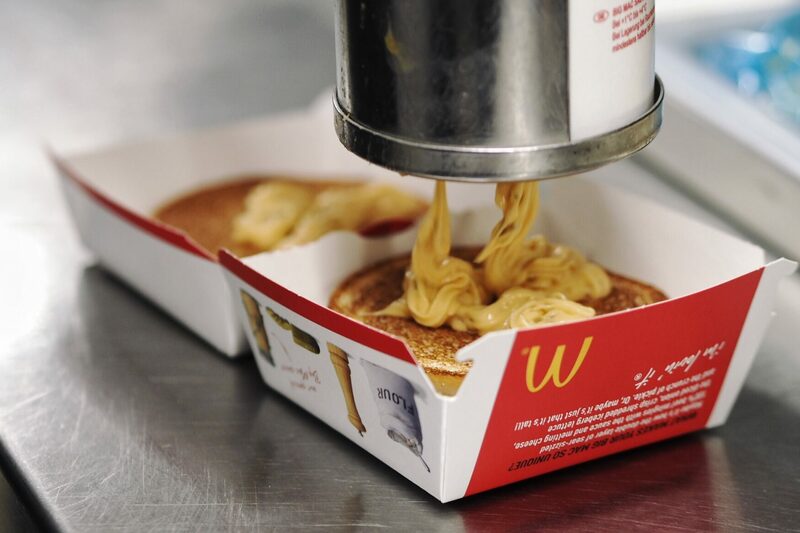 What do you think of McDonald’s new way of making your food? What do you usually order at Maccies?